Are you dreaming of your Olympic debut? Or maybe just a little friendly competition amongst friends and family? Either way, ping pong could be your sport. 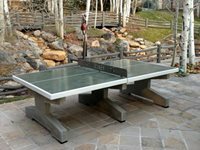 However, not many of us have space inside our homes for a table tennis table. But what about your patio? You probably have room there. The word inflatable doesn’t have the best reputation -- deflated mattresses, leaky boats, collapsing bounce houses. However, this product may change your mind. 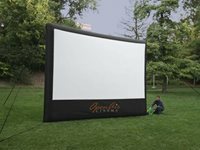 This outdoor theater system comes with an inflatable screen that will bring hours of enjoyment. Do you dream of being on the PGA tour? Are you looking to shave a couple strokes off your score? Well, practice really does make perfect. 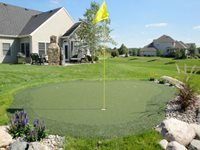 If you had your own backyard putting green you could practice your short game anytime. No more hassle of driving down to the course, or scheduling tee times. 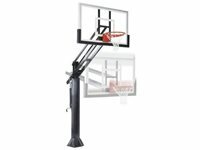 Does your husband still talk about his glory days as a high school basketball star? You know, how he helped lead the team to victory with his awesome three point shot at the buzzer.